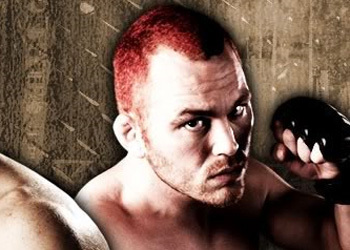 Controversial middleweight Chris Leben came out of left field to emerge as MMA’s highest paid middleweight. Although his impressive two-week run isn’t anything he’ll repeat given its magnitude, it has set him up for bigger paydays when it’s time to re-up. Following Leben’s thrilling 3rdRound submission of Yoshihiro Akiyama at UFC 116, he took home his second consecutive Fight Night bonus. Although, Saturday’s commission was three times phatter than the $25K he earned for knocking out Aaron Simpson at “The Ultimate Fighter 11 Finale” just 14 days prior. That evening, “The Crippler” earned $35,000 to show and doubled that amount by winning. Including his Knockout of the Night award, Leben left the Palms Casino Resort in Las Vegas with a cool $95,000. Fast forward to UFC 116 where the southpaw agreed to step in as a last-minute replacement for the injured Wanderlei Silva. Leben scored $43,000 for merely walking into the Octagon, then parlayed that into another $43K for having his hand raised after their instant classic was completed. The Cha-Ching Train didn’t stop there for the slugger, as Leben was awarded another $75,000 for winning Fight of the Night en route to quietly bumping his record to an impressive 21-6. Sixteen of those bouts were for the UFC. In two week’s time, Leben has made a “total” of $256,000. Please keep in mind, the figures above are what’s required to be reported to the Athletic Commissions. Any additional bonuses, such as a special kickback Octagon brass may have slipped him for his quick turnaround in order to co-headline the biggest pay-per-view broadcast of 2010, are not required to be disclosed. As customary, the popular slugger’s sponsorship dollars were also not disclosed.